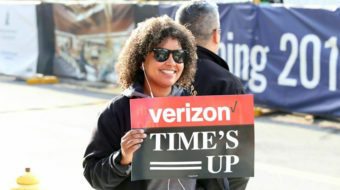 Members of the Communications Workers of America, other unions and student and community allies protested outside of a Verizon wireless store. 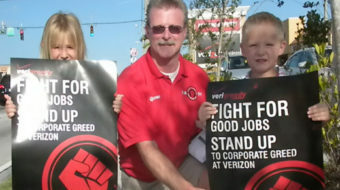 Several hundred CWA Local 1101 Verizon workers and their supporters rallied Jan. 26 in front of 140 West Street to say, "Settle our contract!" 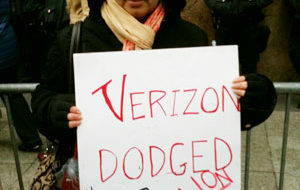 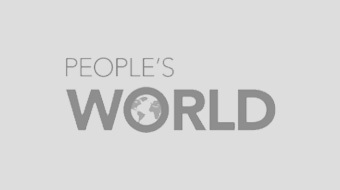 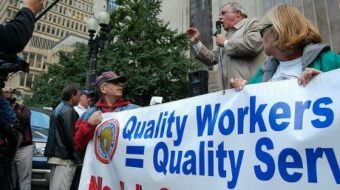 Verizon workers have rejected claims by the company that their return to work marks a victory for the company.